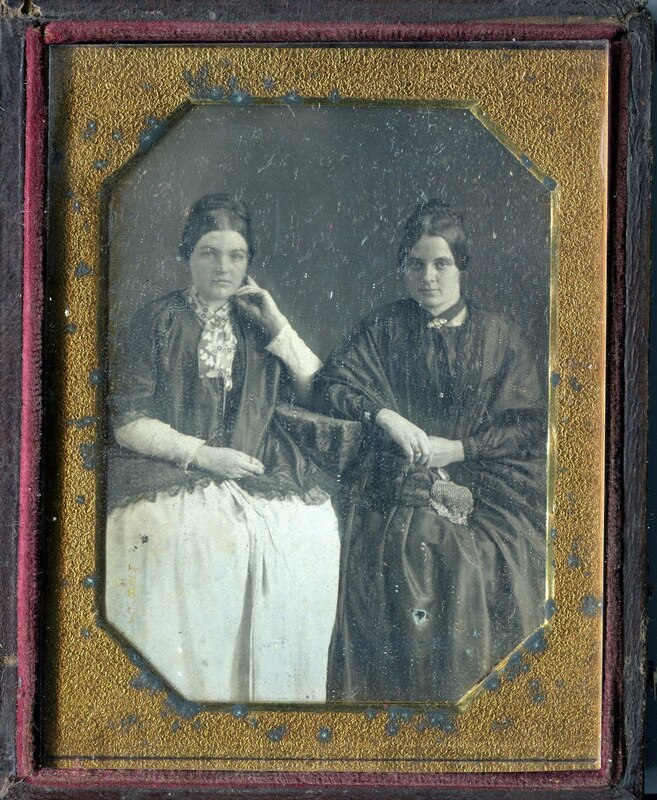 Quarter plate daguerreotype with a lot of dust on the glasplate. Sisters or girlfriends? P.S. Click on my nickname to discover how a Dutch word entered Scandinavian area + Estonia + Lithuania. It is "kalkoen". I discovered this thing unwillingly just today, in a swap of comments with a man having a Lithuanian wife. Beautiful! I would say sisters too. 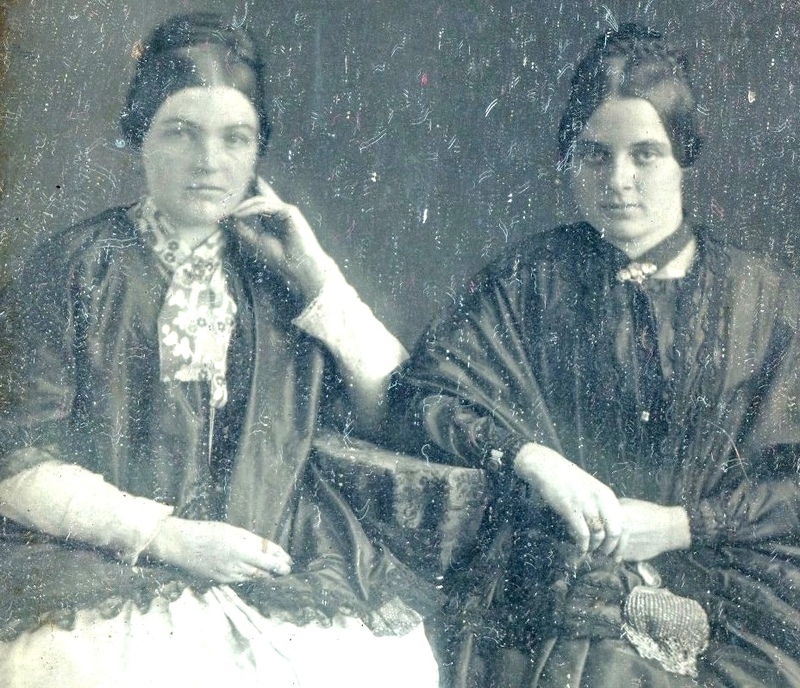 1850s maybe. Wonderful! It must have been treasured.